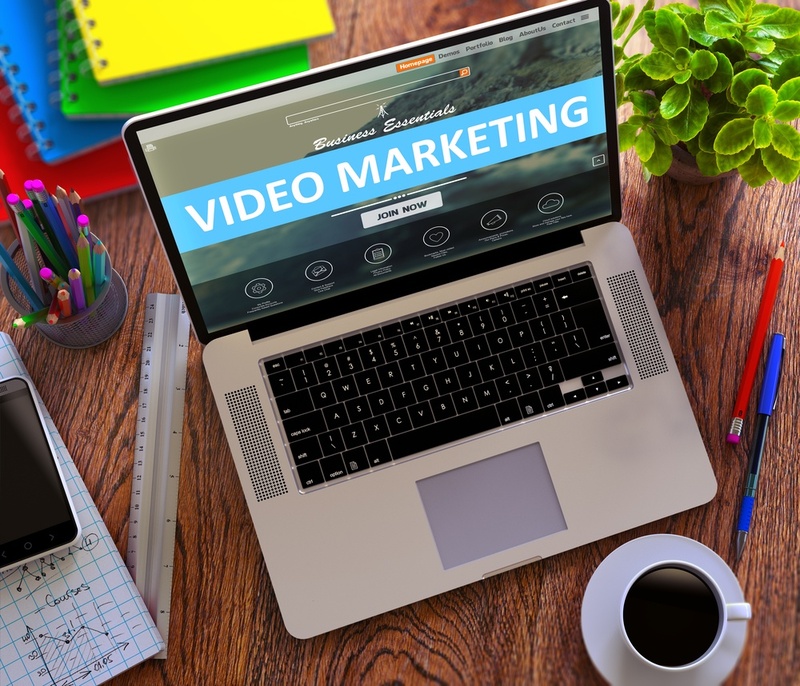 We realize we’ve harped on video a lot lately, extolling the praises of its many miraculous marketing benefits and how using video is one of the most effective ways for your private school to reach new families. But we have good reason to do so, because the popularity of online video is going nowhere but up. In fact, a new report released just this summer by Vidyard provides a telling snapshot of how today’s audience is viewing and using online video. Let's dig into some of their noteworthy findings. If you still need some convincing - or if your board or school leadership needs some convincing - that video marketing is worth your investment of time and money this school year, then take look through the results of Vidyard’s Video in Business Benchmark Report to get some eye-opening data about just how big video is for consumers. One thing to note: this report focuses on Business-to-Business (B2B) marketing, which we realize is a different animal than what schools face, as we are operating on a Business-to-Consumer (B2C) basis. However, many of the findings are universal regarding the attractiveness and the pervasiveness of video, and that’s why we thought the report was worth sharing with you. Education-sector organizations produced an average of 167 videos last year. While high-tech firms led the pack with a whopping 637 videos, the education sector stood pretty firmly in the middle. 167 may sound like a lot, but it’s worth noting that earlier in the report, Vidyard stated that these videos are not all professional, high-quality production films. Many of them are simple clips, talking heads, event invitations, and more. When you put it that way (and when you consider all the video-worthy snippets that happen throughout your school day) 167 doesn’t sound like too far-fetched of a goal. If you publish 3 videos per week throughout the school year, that’s 120 right there. Think: choir rehearsals, science experiments, pep rallys, athletic events, adorable elementary programs, and more. You’ve got lots of sweet moments to share! In fact, the companies in the lowest revenue bracket (under $5 million) had the second-highest average number of videos published last year at 348. Interestingly, the highest number of videos published belonged to the highest revenue bracket! If anything, this shows that video is accessible to everyone - big or small! Along the same lines, most small companies opted to use their own internal resources to produce and promote their videos (as opposed to hiring out a production firm). 54% used strictly internal resources, 24% used external ones, and 22% employed a combination of internal and external resources. The most popular type of videos that companies produced last year were product videos and demonstrations. In the school realm, that translates most directly to videos that showcase in detail specific aspects of what your school does and how it benefits families. However, your video options do not (and should not) stop there. Check out this recent blog from us to get an idea of how different types of videos can be useful for private school marketing, reaching prospective parents at various stages in the buyer’s journey. This is crucial, since “product demo” videos aren’t your best option for pulling in parents when they’re still in the awareness stage...which is the top (and widest) point of your sales funnel. The majority of videos produced by businesses last year were under 60 seconds (54%). Brevity is your friend in this fast-paced world. Your audience (as much as they might not want to admit it and you might not want to hear it) has a pretty short attention span, thanks to years of being conditioned to deal with a constant onslaught of information available at a quick tap or swipe of their finger. Don’t worry about making a boatload of in-depth, 15-minute tutorials. Chances are, most of the parents with whom you’re hoping to connect can only give you about a minute. The report validated this fact with its findings that videos under 90 seconds had the highest level of audience retention, with 59% of viewers sticking with the video through the end (as opposed to only 14% hanging in there for a 30-minute one). The majority of survey respondents (51%) reported using only basic analytics to measure the effectiveness of their videos, meaning they monitor video views, likes, and shares only (13% used no analytics). That left 36% who employed advanced or intermediate analytics, measuring not only consumption but also engagement. It is noteworthy that the more advanced a company’s analytics, the more satisfied they were with the success of their video campaigns. Analytics are key to helping your determine what is working in any aspect of your marketing strategy (video included), so that you can make necessary tweaks along the way to capitalize on what works and back off what doesn’t. If you think about how you prefer to spend your time online, chances are you’ll realize that much of your browsing time is spent watching video. Whether it’s a product demonstration of something your considering purchasing, a recent viral hit, a clip of your favorite show or sports team, an inspirational or spiritual message...the list can go on and on with the many ways we enjoy video. Your prospective parents are no different. Private schools MUST pay attention to video usage trends if you want to stay relevant and connect with parents, building trust with them before they even reach out to you. 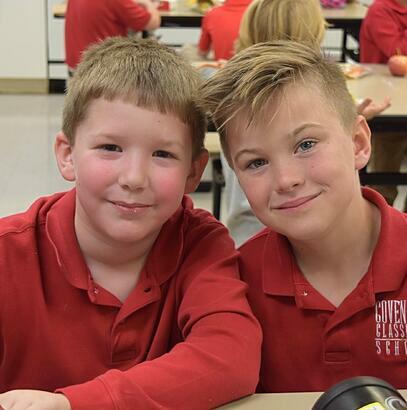 Let this school year be the one that your team ramps up your video A-game in order to reach out to prospective families and capture their hearts and minds!